Clayroom, a reincarnation of the Clay Underground, will open in Potrero Hill this month after more than a year of searching for a new location for its pottery studios and classes. Clay Underground was located in the basement of PianoFight at 187 Eddy St. for more than four years before it closed in June 2016 to find a new home. "The building was sold and the new landlord wanted to use the basement space for something else," said owner Kevin Waller. Waller is reopening and rebranding in his new space at 1431 17th St. with many of the same instructors as well as some new teachers. The new location will initially have space for about 25 resident artists. "We don't want to be overcrowded," Waller said. The new, sunny location is about 3,250 square feet, and includes two kilns with space for two more. The Clayroom's gallery space in the entrance lobby. Waller and his colleagues selected the site after searching many neighborhoods, including the Mission and SoMa, Waller said. He saw this location shortly after the space came onto the market, and he and his partners jumped on it. Clayroom held an open house on March 6th to sign up resident artists, and the first 6-week class sessions are scheduled to begin the week of March 19th. A soft opening is planned for next week on March 15th and 16th. 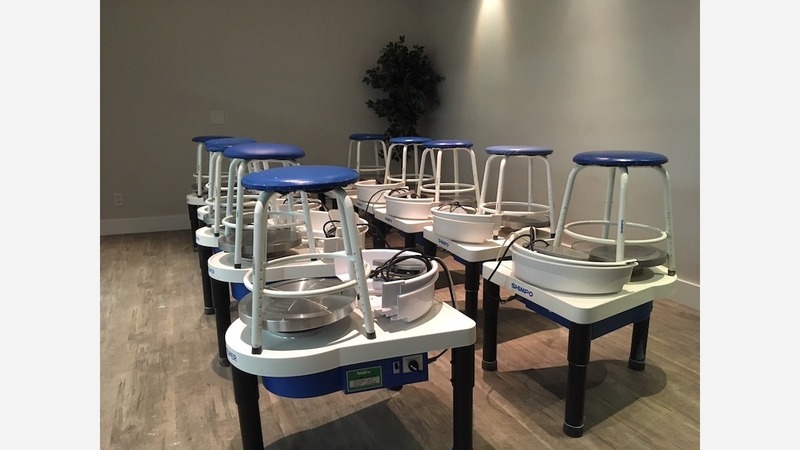 Clayroom will offer students instruction and equipment. Waller has been a ceramic artist for more than 20 years, with a wide range of experience operating studios, curating galleries and producing his own art for sale. His partners in Clayroom are Ryan McCullen, who has a decade of experience in professional ceramics and currently focuses on creating folk-inspired animals for his small production studio, and Neil Gershgorn, who brings experience in corporate finance and business planning. As we previously reported, Waller had difficulty attracting families and children to the Tenderloin space, due largely to the neighborhood's reputation for crime and drug use. The new location on 17th between Alabama and Connecticut streets is next to Jackson Playground and adjacent to the Live Oak School; the studio is already programming events for the school's students. Clayroom is located is at the corner of 17th and Arkansas streets. Clayroom is also partnering with Hamilton Families to offer a 6-8 week mentorship program to kids in Hamilton's transitional housing program, likely starting this summer. Each child will receive one-on-one instruction, take part in group courses and work with their peers and teachers to put on a gala show. Weller said he intends to bring back the bring-your-own-beer (or wine) Friday night classes for dates or friends to drop in, and noted that The Clayroom is also available to host corporate events.